In the cold of winter, it can be really easy to forget about fresh and raw foods. I usually gravitate towards food that will keep me warm, which means mostly cooked food. When fruits and vegetables are cooked and heated, the heat will damage or lessen the amount of nutrients you could get from eating it raw. It’s still nutritious, but possibly not as nutritious as if it was raw. It’s important to have a balance of raw and cooked foods in your diet to get the most nutrients from your food. 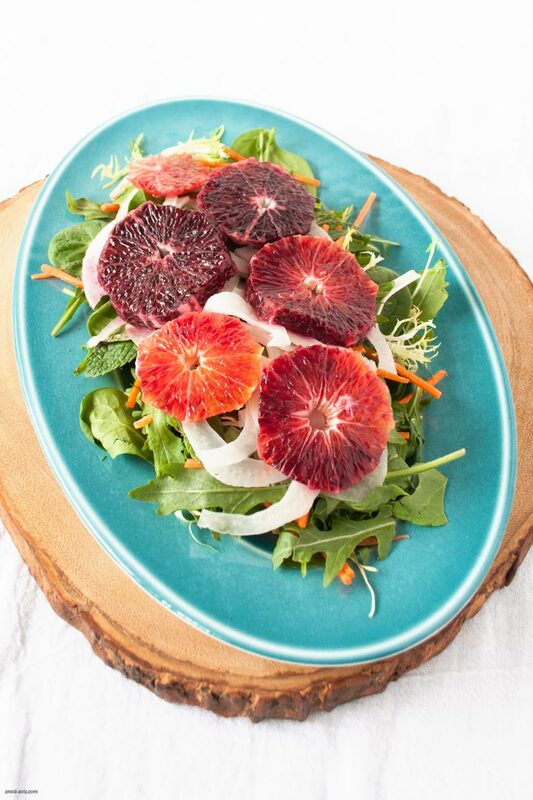 This Blood Orange and Pickled Fennel Salad is a great, seasonal way to get some raw (and fermented foods) in your winter diet rotation. 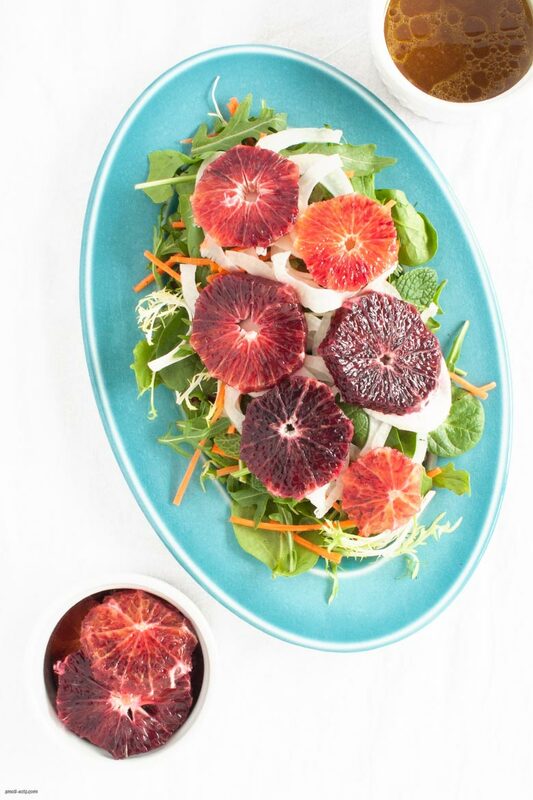 Blood oranges and fennel have been all over my farmers market this time of year, and I couldn’t be happier. I love the anise-y flavor of fennel, and by pickling it, an extra sharpness comes out that is great on salad. 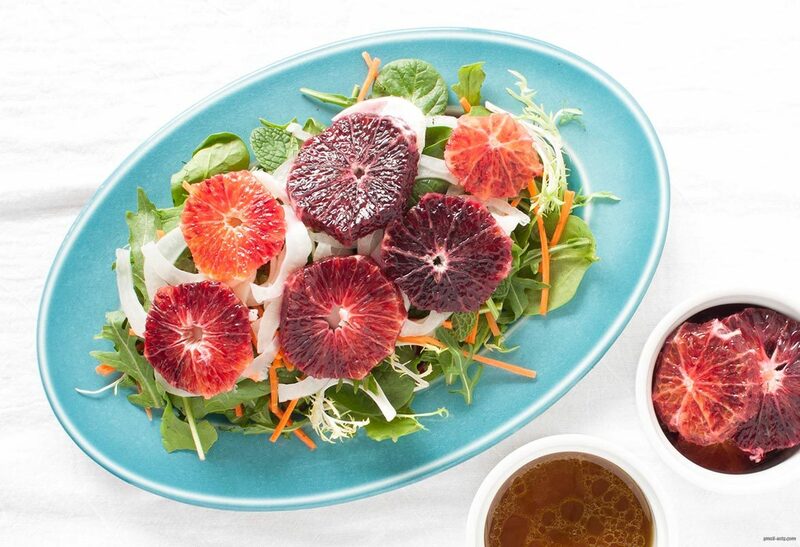 Blood oranges are a bright spot in the winter. I love citrus, and nothing makes me happier than to open a blood orange and see the beautiful colors inside. I used a great winter salad mix from my farmers market that had a little bit of everything: dill, mint, radicchio, frisée, spinach, and arugula in it. When choosing a salad mix to make your salad, find one with lots of different kinds of greens, of various shades of colors. The bigger the variety in color and greens, the bigger the variety of nutrients and flavors you’re getting. The pickled fennel and dressing could be more than you need for this particular salad, which means you’ve got more salads in your future. I add pickled fennel as a topping to scrambled eggs, other hot or cold salads, and my favorite: the bowl you throw together of your odd and end leftovers. How do you keep raw foods in your diet during the winter months? What are your favorite raw meals or snacks? To make the pickled fennel, combine vinegar, water, sugar and salt into a small sauce pot and bring to a boil or until the sugar and salt are dissolved. Pack a mason jar with the thinly sliced fennel. Once salt and sugar are dissolved, allow to cool for 5-10 minutes, then pour into the mason jar with the fennel and allow to cool. You can do this the day of or a few days ahead if you have time. To make the dressing, combine all ingredients into a mason jar. Close the mason jar and shake it up until the oil and vinegar are mixed. In a large mixing bowl, combine salad greens, carrots, and a third to half of the fennel you pickled, depending on your love for pickled things. Lightly drizzle dressing over your salad and toss until well incorporated. Adjust dressing amount to your preference. Top with blood orange slices and enjoy. 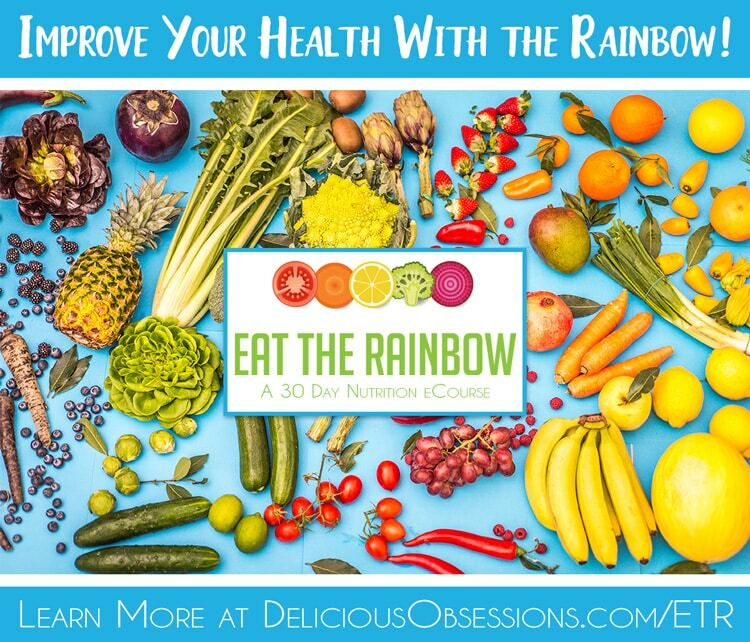 I can’t wait to see you in the course and hear how your health improves once you start eating the rainbow!